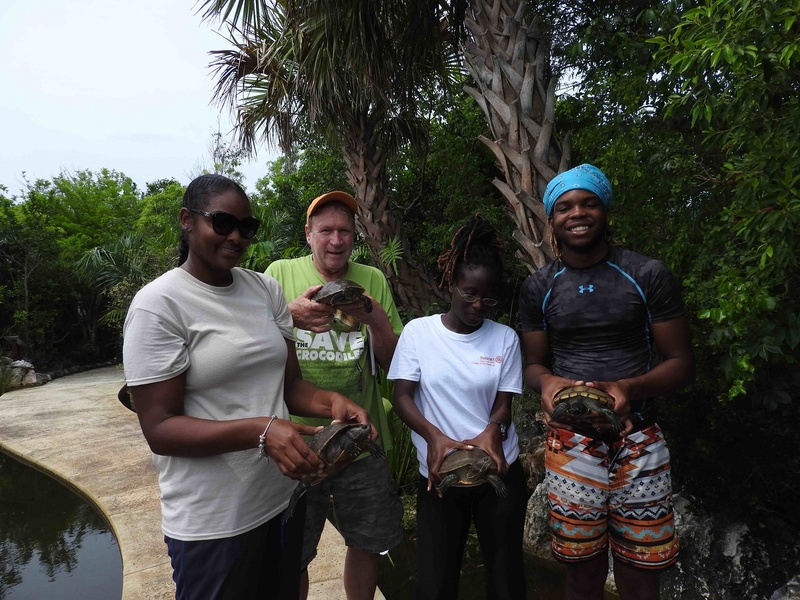 Each summer The Preserve offers a college-level internship program focused on the terrestrial natural history of The Bahamas. 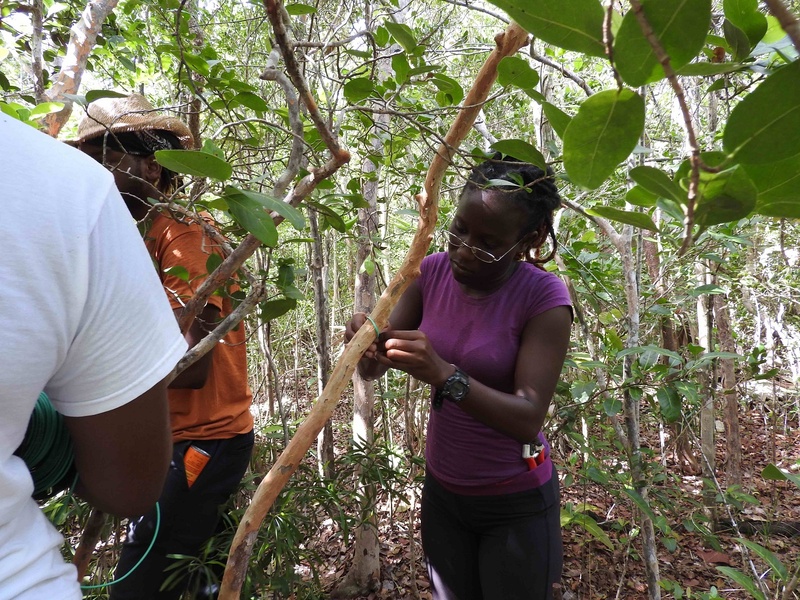 The internship runs for nine weeks at the Leon Levy Native Plant Preserve in Governor’s Harbour, Eleuthera and is designed to provide college students with field experience that can lead to work in the conservation field that they cannot attain in typical classroom settings. Experts from various fields teach different aspects of natural history so as to provide the interns with both a broad and deep familiarity with each subject. Subjects include botany, plant ecology, geology, ornithology and herpetology. A major focus of the botany portion, includes the fundamentals of plant taxonomy and training to sight recognize common Bahamian plant species. These skills are then used by interns to further the ongoing permanent forest plot research at the Preserve. In addition, interns conduct independent research projects and present their findings to the general public. This year's internship includes a weeklong site visit to the Natural Areas Conservancy (NAC) in New York City. Interns will travel to NYC for further scientific training and collaboration with NAC staff and their partners. To apply, email the following documents to efreid@bnt.bs and hjohnson@bnt.bs by the application deadline. Please title the subject line of your email "Leon Levy Summer Internship 2019". - Background or previous coursework in botany, and/or general zoology. - Strong desire for field experience. - Availability for the full 9 weeks. Candidates MUST be in possession of a valid Bahamian passport with ability to travel to the United States. All travel expenses including room and board are provided for the three (3) successful candidates. A stipend is also awarded to each candidate for the duration of the program.